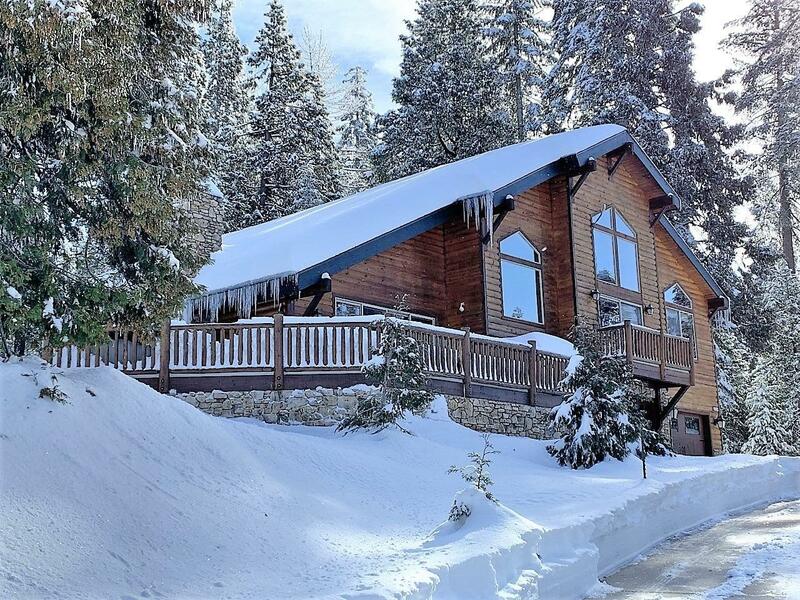 This incredible split-level Mountain retreat, with 2 master suites & 3 fireplaces, is in one of Shaver Lake's premier subdivisions...Timber Ridge. This 2007 custom home was designed by Architect, Ron Marlett & built by Ed Oak Creek Construction on approximately 1/2 acre of forest grounds. Designed to emphasize images of mountain dwellings & living...this mountain home features Pine log siding & Pine log details throughout. Everyone is welcomed through the Slate floored foyer, flanked by Knotty Pine railings & led up the grand wood entry stairs. The kitchen is complete with Knotty Alder cabinets, granite slab counter-tops and SS Thermador appliances. The entertainer's kitchen is situated on the third level with a commanding view of the soaring Pine ceilings overlooking the grand dining & living areas, complete with glue-laminated beams, and anchored by an impressive rock fireplace. Located on the spacious open deck is nestled an Epic - Marquee Spa for all seasons. Cross Street Address Bretz Mill Rd. Listing provided courtesy of Harold Biltz of Movoto Inc.